You probably use oregano in some of your favorite dinner recipes. But did you know that oregano oil can be a great addition to your home medicine cabinet? Oregano oil is an amazing healer that is quite versatile when it comes to a number of different health complaints. This is because oregano oil has antibiotic, antifungal, antiviral, and anti-parasitic properties. It has an amazing ability to neutralize poisons. It also functions as an anti-inflammatory and a painkiller. If you have difficulty breathing, either due to allergies or asthma, take a few drops of oregano oil under your tongue. This should help your sinuses to clear quickly. 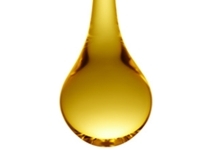 The oil will also act as an expectorant, clearing your lungs of mucus. Note: asthmatics should always keep use their prescribed medication if their condition is serious. You can apply oregano oil topically to a wasp sting or bee sting. The oil has a unique power to neutralize poisons. It will also help to reduce any swelling and pain caused by a sting or insect bite. And, as an added bonus, oregano oil also can act as an insect repellent, keeping pests away so they can’t bite in the first place. Use it as a repellent to fend off insects like lice and mosquitoes. Oregano oil has the ability to sterilize septic water. Because it is anti-parasitic, it can kill harmful bacteria such as Giardia and Cryptosporidium. Add a few drops to water before drinking. Bacteria cannot build up a resistance to oregano oil, so it is also useful to take when food contamination may be an issue when you are traveling. Use oregano oil to kill bacteria that cause plaque and tooth decay. For cankers and other mouth sores that suddenly appear, apply oregano oil to kill the infection. So what does medical research have to say about oregano oil? In one U.S. trial, oregano oil was found to be as effective as traditional antibiotics when it comes to treating infection. A research team tested oregano oil on a common type of bacteria called Staphylococcus (staph). This bacterium is the kind that is responsible for severe infections. The problem with Staphylococcus is that it is becoming resistant to many antibiotics. During the trial, the researchers combined oregano oil with the staph bacteria in a test tube. When compared to standard antibiotics like penicillin, oregano oil did just as effective a job at stopping the growth of bacteria.